British Invasion on U.S. iTunes! New Music From KT Tunstall, Eliza Doolittle, Pixie Lott, Ellie Goulding and More! Oi Oi Oi! I KNEW I shouldn't have stopped on iTunes before going to bed. Especially on a Tuesday morning. Low and behold there were ALL sorts of British pop goodies to download. 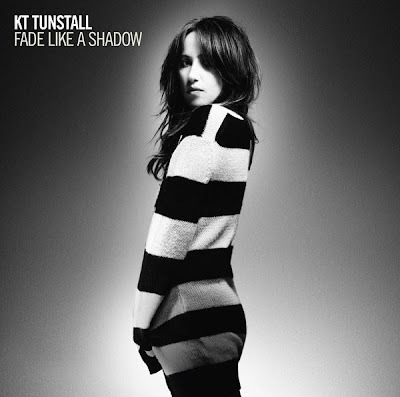 First and foremost, the lovely and talented KT Tunstall's new U.S. single, (which I mentioned in a previous post) "Fade Like A Shadow," comes out today. If THIS is another example of "Nature Techno" then bring it on! I like it! The single is a nice up-tempo pop rock jam with just a little sprinkle of electro. Still anxious to hear what her first UK single, "Glamour Puss" sounds like but this will suffice. Pick up the new KT Tunstall single on iTunes now. 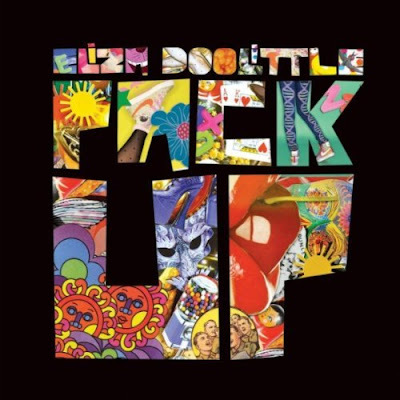 ALSO out today on iTunes in America we have "Pack Up" by the equally amazing Eliza Doolittle. This was a bit unexpected, as I hadn't heard too much about Doolittle releasing her album stateside, other than a Tweet she sent me. The single became Doolittle's highest charting single to date in the UK where it peaked at #5 on the official singles chart. It's also the first track of Doolittle's to get remixed for the clubs (by Riva Starr, Analog People in a Digital World, etc.). The song is a light-weight and summery little diddy featuring a heavy sampling of the 1915 song "Pack Up Your Troubles in Your Old Kit-Bag" in the chorus. Check out the video HERE and download the single on iTunes now. FINALLY, U.S. fans of Marina & The Diamonds, Ellie Goulding, Pixie Lott, Kate Nash, Plan B, etc. 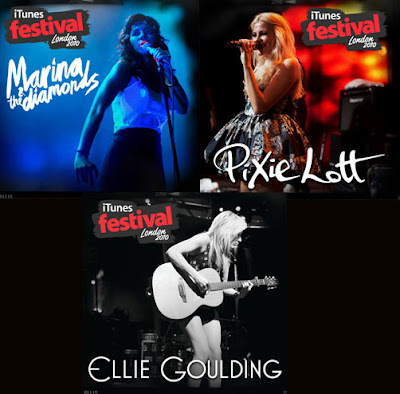 can download EPs from this years iTunes 2010 Festival series. Still hoping they put up Diana Vickers' performance from the festival but I'll take live Ellie Goulding and Pixie Lott in the meantime. If you haven't seen Goulding's live performance at the festival, make sure you check it out here. Man, I really need to listen to NPR. In case you haven't heard, beginning yesterday, NPR Music is streaming the new Ray LaMontagne album, God Willin' & The Creek Don't Rise. AMAZING. I gave it a listen and fell in love with LaMontagne's voice all over again. The album is distinctly more up-tempo than his past few records and I'd like to think that has something to do with the newly coined 'Pariah Dogs,' his four bandmates. NPR Music allows you to listen to individual songs OR to stream the whole album, from beginning to end. While I certainly recommend the latter, if you've got time constraints to worry about give "Repo Man" a listen. What a way to open the new album! "Repo Man" is an up-tempo, soulful stomper of a song that really sets the tone for the rest of the album. The album's title track is another standout on the album, as is, of course, lead single "Beg Steal or Borrow" (listen below). 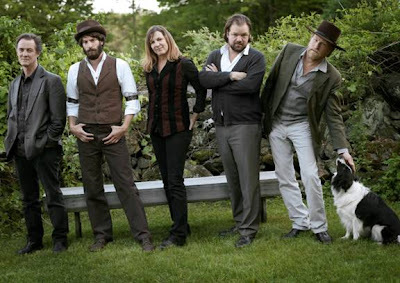 The twangy folk "The Devil's In The Jukebox" is another favorite and a strong closer to what shapes up to be a phenomenal album. 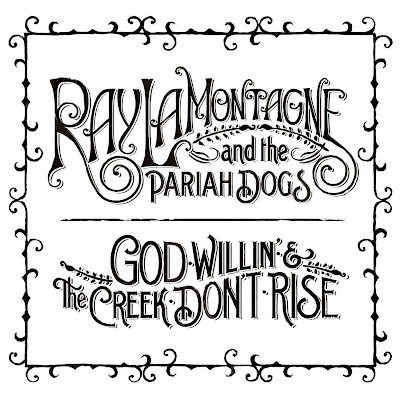 God Willin' & The Creek Don't Rise is Ray's fourth album and it might turn out to be one of his best. As much as I LOVE the slow, melancholy sound present on his last couple of albums, God Willin' & The Creek Don't Rise has an energy that I don't think I have heard come out of those weathered pipes yet. 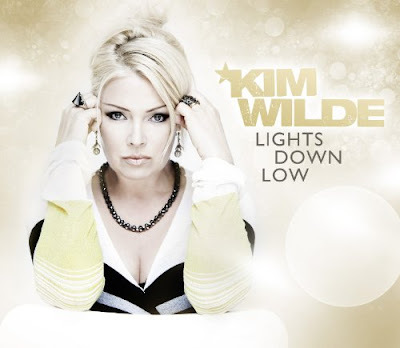 The incomparable British club queen Kim Wilde is BACK with a vengeance on her new single "Lights Down Low" (via Pop In Stereo). The single will be the first off her upcoming eleventh studio album, Come Out and Play, due out in Germany August 27th on EMI. Fun, high energy dance pop is what Wilde is known for and she DELIVERS that and then some with the new single. Whatever your feelings are on powerhouse producer/songwriter RedOne , there's no denying his ability as a bonafied hitmaker. Sure, there are critics who say EVERY RedOne production sounds just like the last one but I'm going to go ahead and say...I DON'T CARE. If it makes me move, it makes move and the new single from RedOne's latest protege Mohombi makes me move! Singer/songwriter/dancer Mohombi has the privilege of being the first talent signed to RedOne's new label 2101 Records, in association with Universal Music. The 23 year old was born to a Swedish mother and a Congolese father, which explains his GORGEOUS, exotic looks. If I had to compare his sound to that of his contemporaries...I'd say his sound is a little bit Enrique Iglesias, a little bit Taio Cruz. THIS is the kind of music that's doing well right now across different formats. Pop, R&B, Dance...RedOne knows what he's doing here people. Taio Cruz...HELLO!? Runaway success story here in the U.S. with two #1s under his belt. 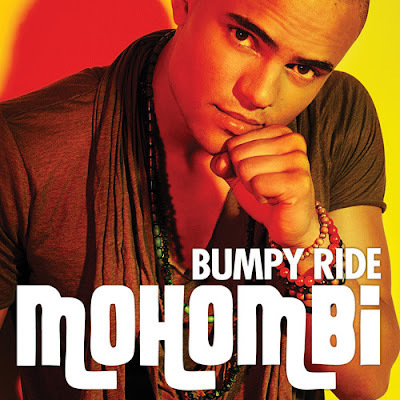 "Mohombi combines African influences with a Global pop sensibility, a sound destined for worldwide success." While the single isn't yet available here in the States, "Bumpy Ride" IS available in Europe. Sara Bareilles is great. She has a great voice. She looks like a Neutrogena model. She's also a talented singer/songwriter. The BRILLIANT "Love Song" from Bareilles' debut album Little Voice is a TERRIFIC pop song. Simple and sweet. Nothing much to it. While she hasn't had a hit as big as "Love Song" yet, Bareilles is set to release her second album, Kaleidoscope Heart on September 7th through Epic, so look out! First single, "King of Anything" is currently #9 on the Billboard Adult Pop chart. "If I'm gonna do a cover of a song, I want to completely reinterpret it. It would be hard to imagine it as sort of a doo-wop-y, voice-and-piano kind of song, so I started fooling around with that on the piano, and it ended up being something super-fun." While I don't know if I'd call this "super-fun," it's quite enjoyable and if you take into consideration the fact that Bareilles put together the arrangement herself, you might even call it impressive. On a scale of Beyonce to Liza Minelli...Bareilles' version falls nicely in the middle. Check it out for yourself below the cut.